Dollhouse Miniature Mardi Gras Pudding Cups on Tray - 1:12 Dollhouse Miniature - The Petite Provisions Co. 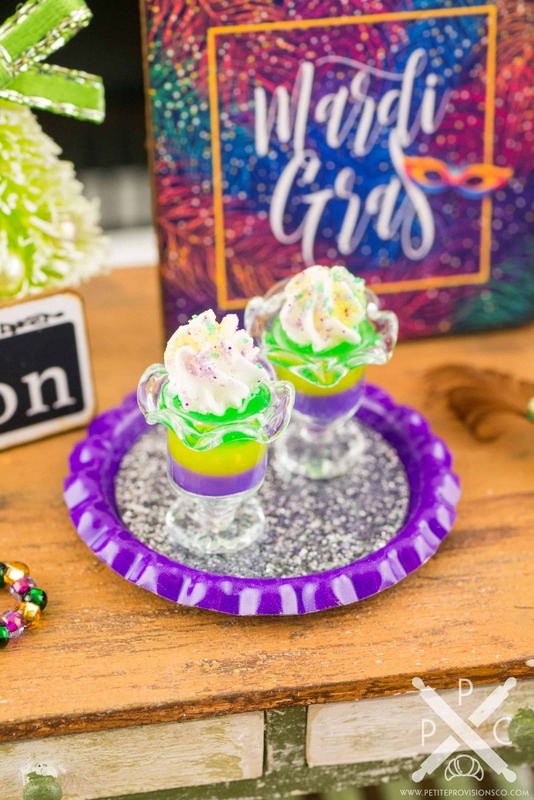 This charming dessert set is perfect for Mardi Gras! 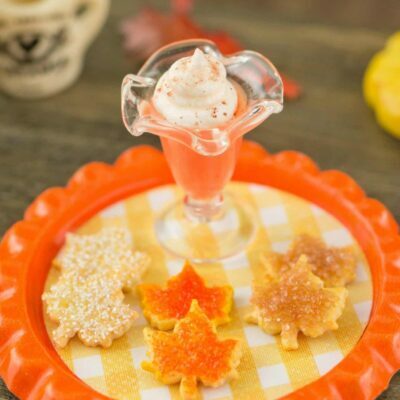 The glass cups are filled with multicolored layers of pudding with whipped cream and glitter sugar on top. 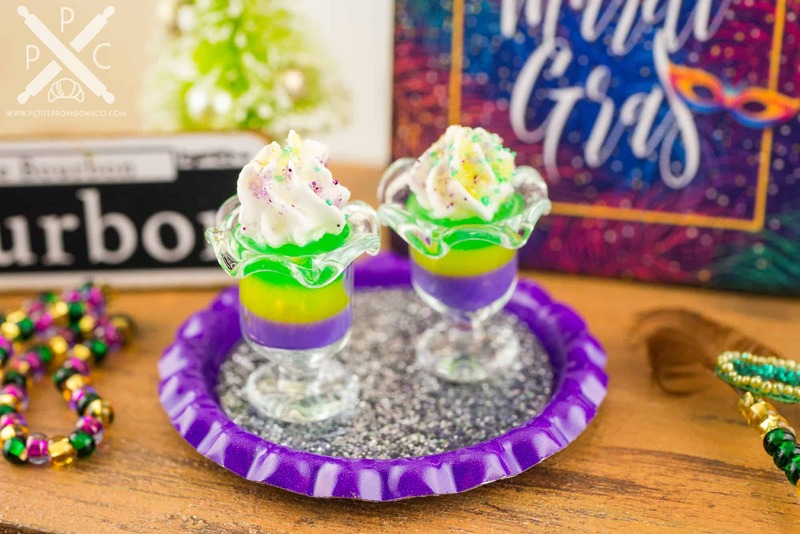 The duo of Mardi Gras pudding cups is served atop a purple metal tray with a silver glitter paper lining. 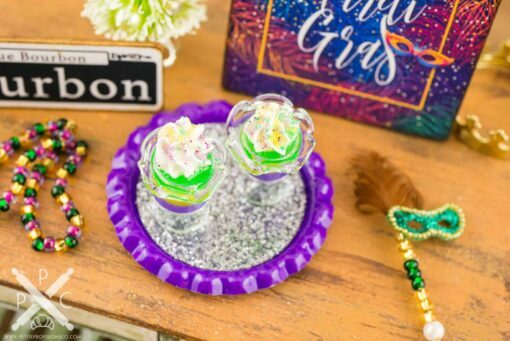 Whether you have a dollhouse or just love all things tiny, this wee Mardi Gras set is too cute to resist! Purple metal tray with a silver glitter paper lining topped with 2 dessert cups filled with layered purple, yellow and green pudding, topped with whipped cream and glitter sugar in matching colors. 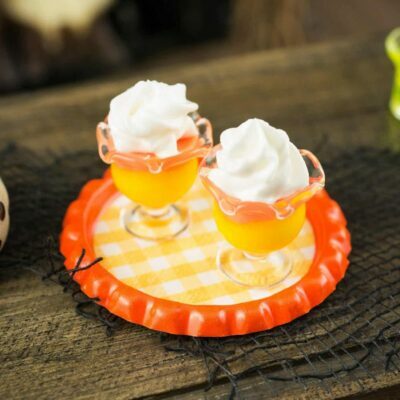 The tray measures 1-1/4″ in diameter, and the pudding cups measure about 3/4″ tall to the top of the whipped cream. 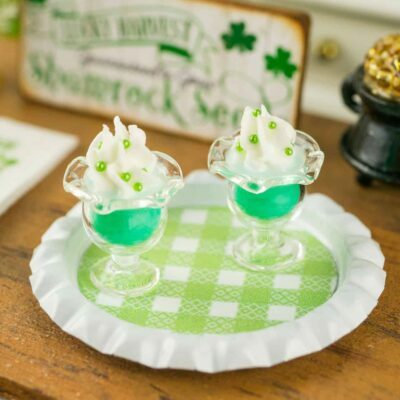 Items are loose. 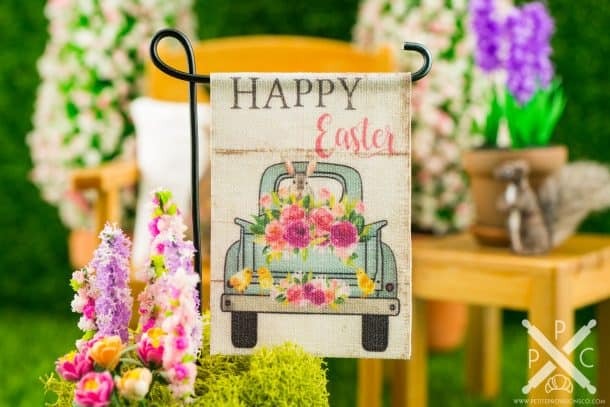 Only the items listed above are included. 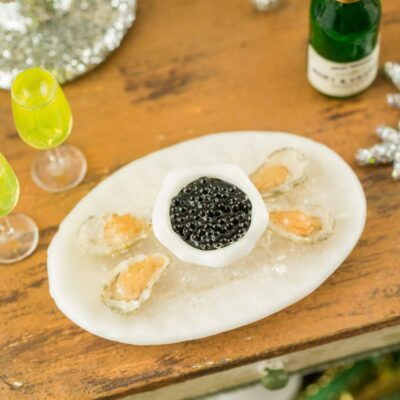 Any furniture, decorations, serving ware or other food pictured are NOT included.